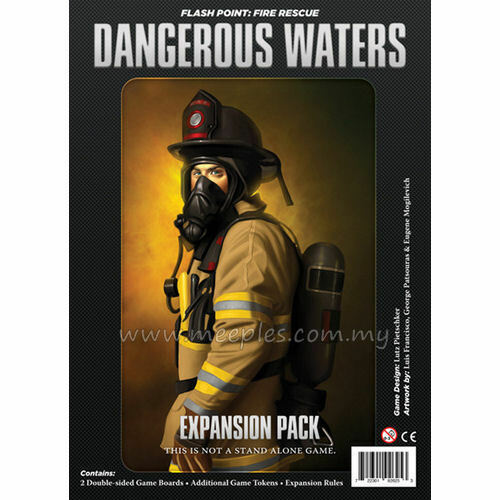 Flash Point: Fire Rescue - Dangerous Waters takes the firefighting experience to - and below - the seas. 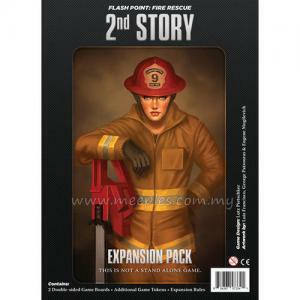 This expansion for Flash Point: Fire Rescue includes 2 double-sided half boards (similar to those in the 2nd Story expansion) that represent a ship on one side and a part of a submarine on the other. The interior of the ship features an engine room, cabins and heat-conducting steel walls on a 6x8 game board, while the submarine is an elongated 3x16 game board that features victims who can't just leap out of a window to safety - and who might be in danger even within the sick bay. 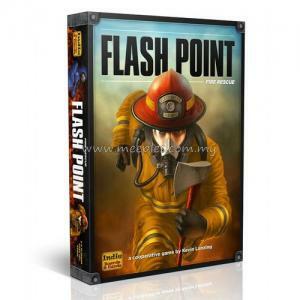 *NOTE* This is not a complete game, Flash Point: Fire Rescue is required for play.